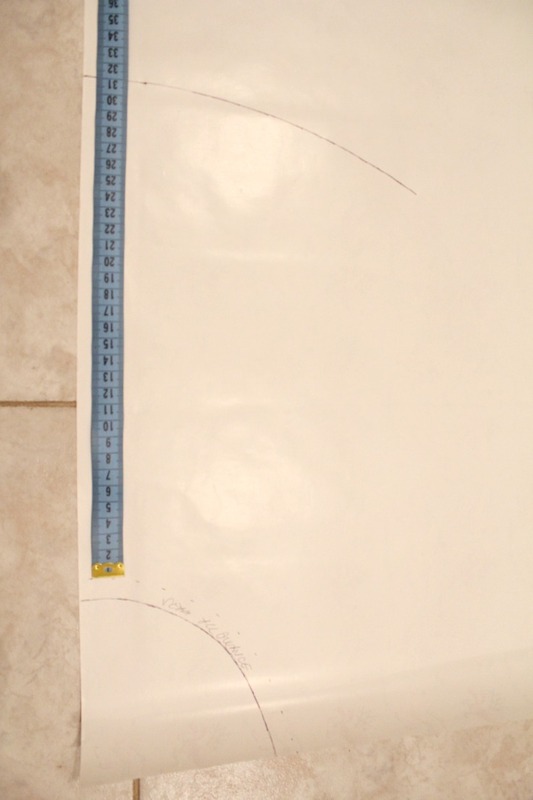 Take your waist measurement, add 1″ and divide by 3.14 to get the waist radius (inner circle). Round to the nearest quarter inch. 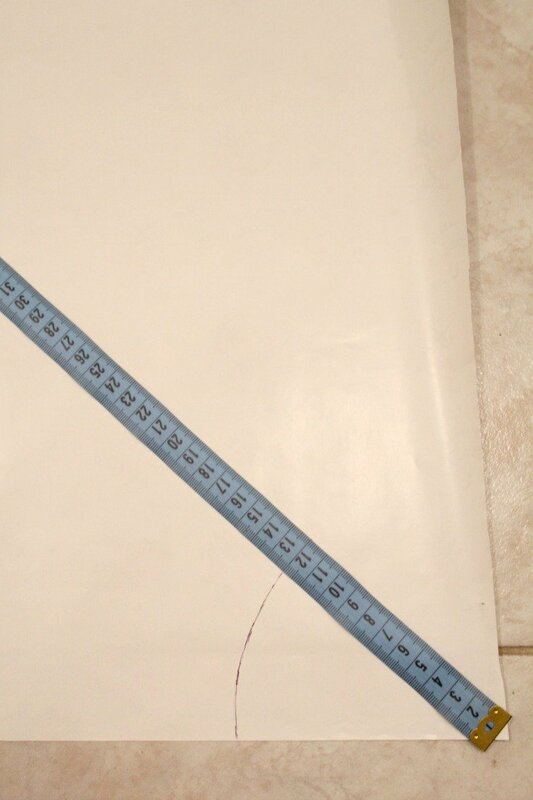 Measure the length of the skirt (from waist down to where you want the skirt to fall) and add 2″ seam allowance. This will give you your hem radius (outer circle). 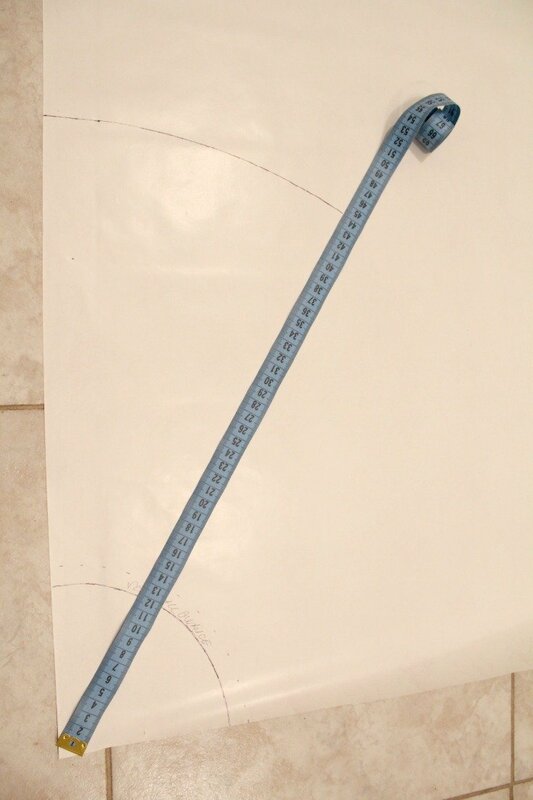 On a large piece of paper, draw your inner circle, away from the corner of your paper, by moving the measuring tape as you mark. Now do the same for the length. 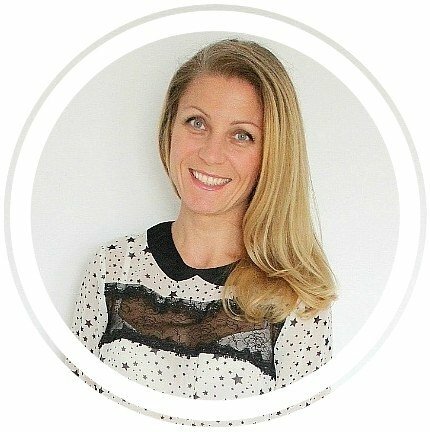 Measure your desired length from the inner circle, not from the corner. Cut your pattern around the inner circle than around the outer circle. This will be 1/2 of a pattern. 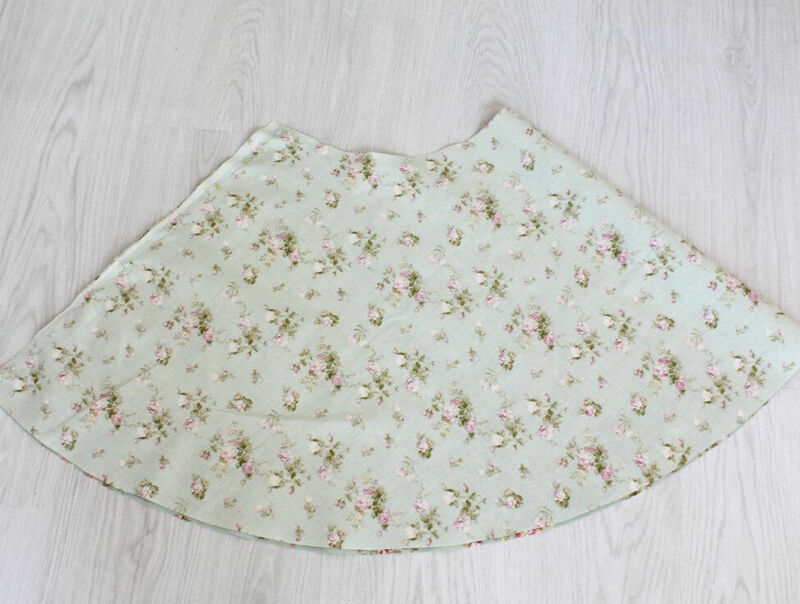 Fold the skirt fabric in half, right sides together and place it on the floor with the fold going along the top and the selvedge edges running down each side. 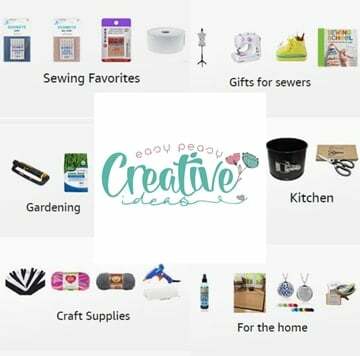 Place the pattern over your fabric, with your inner circle matching the folded corner, pin and cut around the inner circle and the outer circle. Repeat the above step for the lining. Put the skirt fabric right sides together and sew down the side seam. 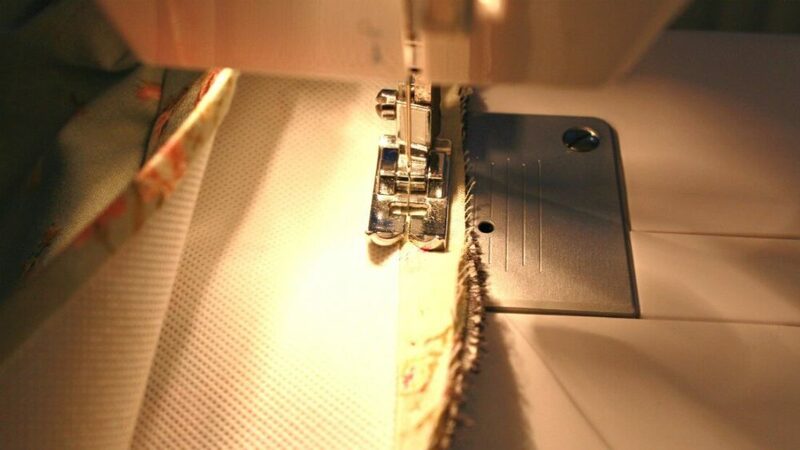 Finish the seam with a serger or a zig zag stitch. Replace your regular foot with a zipper foot. Decide how long you want your zipper opening to be in your skirt. Make a mark. Decide how wide you want your waistband to be and with that in mind leave allowance for the zipper at the top of the lining. 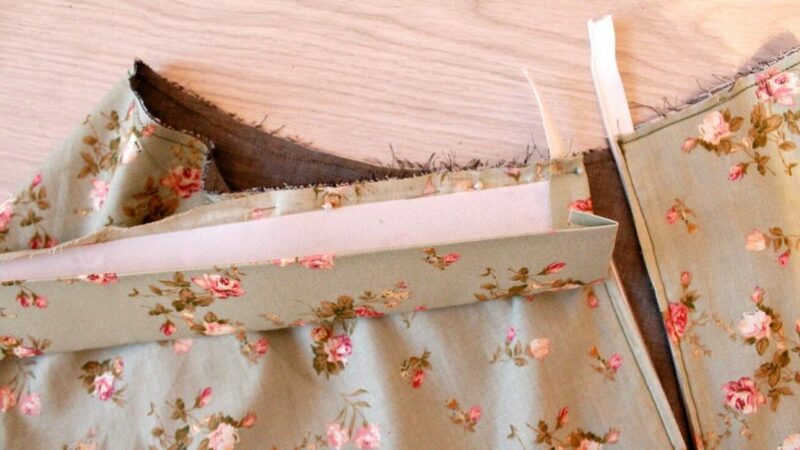 Then insert the zipper into the skirt and lining as indicated in this tutorial. 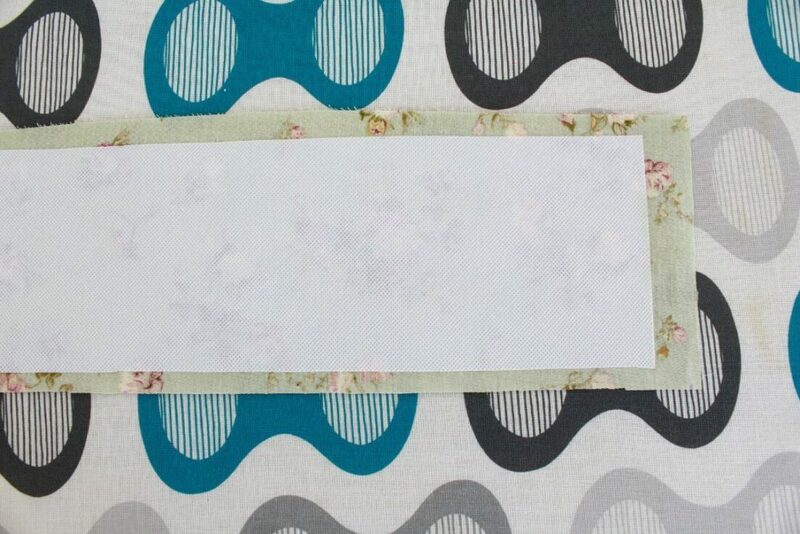 Cut a piece of soft interfacing to match the waistband, minus 1″ in length, 1/2″ from bottom and 1/2″ from top. 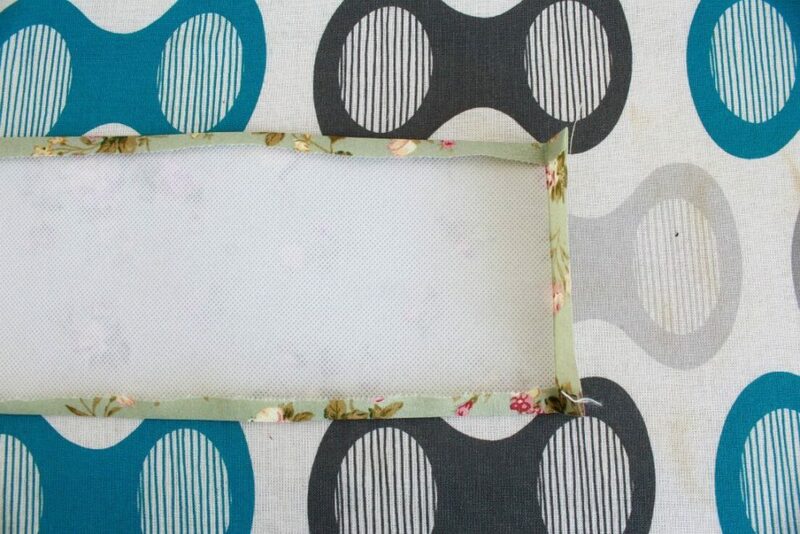 Attach interfacing to the wrong side of your waistband using your pressing iron. Fold the up and bottom edge in then fold the side edges in and press. 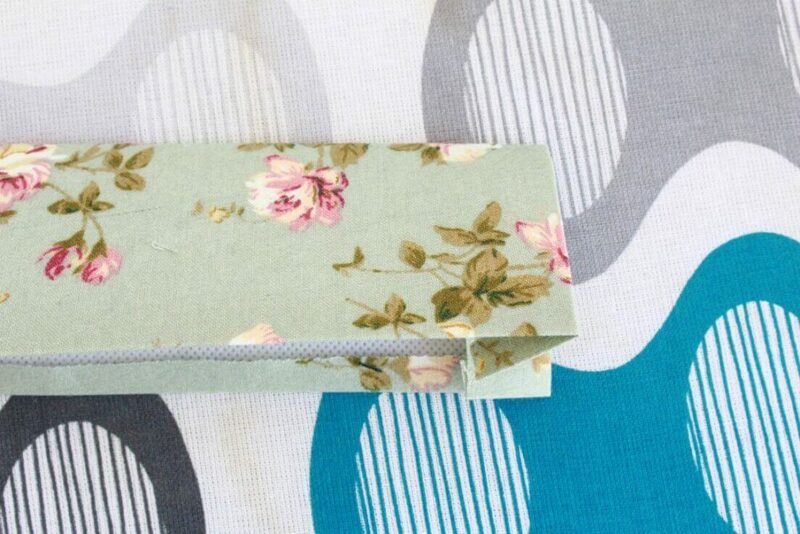 Fold the waistband in half, right side out and press. 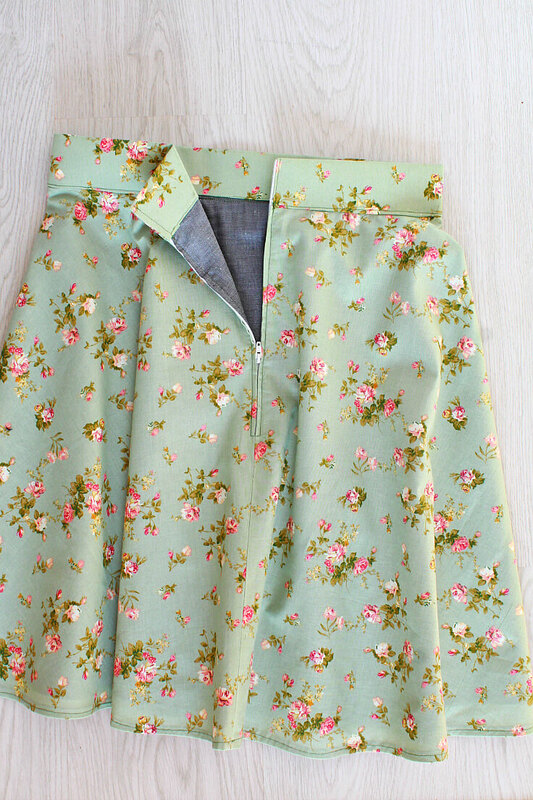 Pin the skirt and the lining together at the inner circle then sew down with a 1/8″ allowance. This will help keep the skirt and lining together when you sew the waistband. Slide the waistband over the top of the skirt and lining and pin the raw edges together (that would be the folded edges). 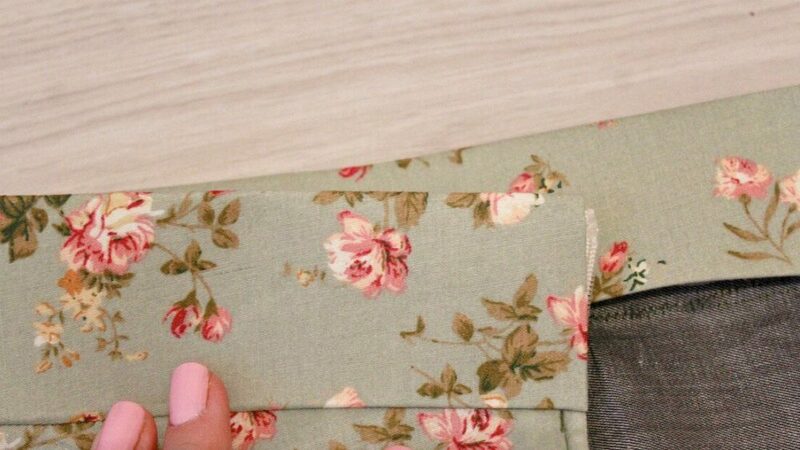 Pay careful attention when you get to pinning the zipper; trim the top of the zipper if needed and push zipper inside the waistband just enough to be able to comfortably move the zipper pull up and down. 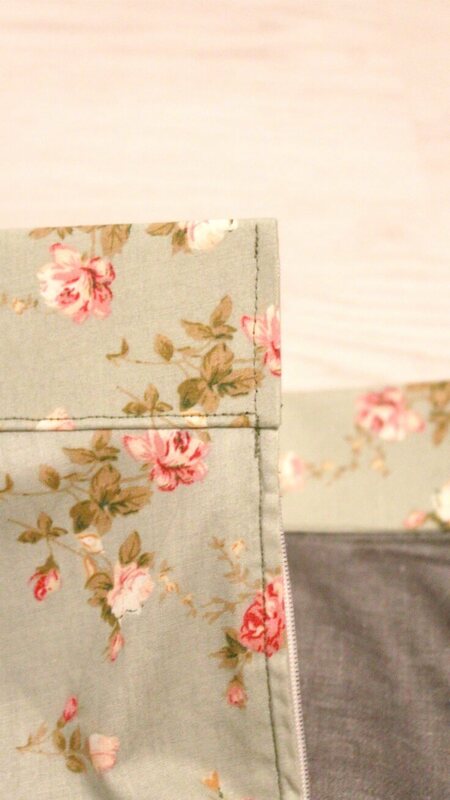 Fold the side edges of the waistband inside so they’re concealed. 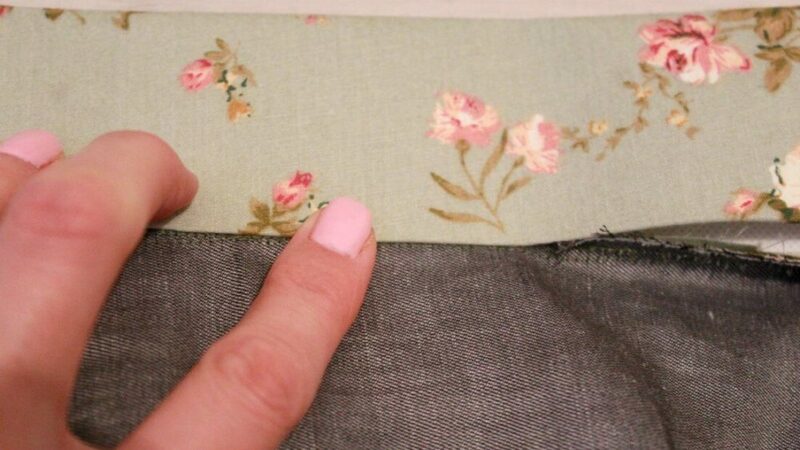 Sew down the pinned area then flip the waistband up. Looking on the inside of the skirt, turn the other edges of the waistband in, making sure they cover the raw edges of the skirt and lining, then pin. 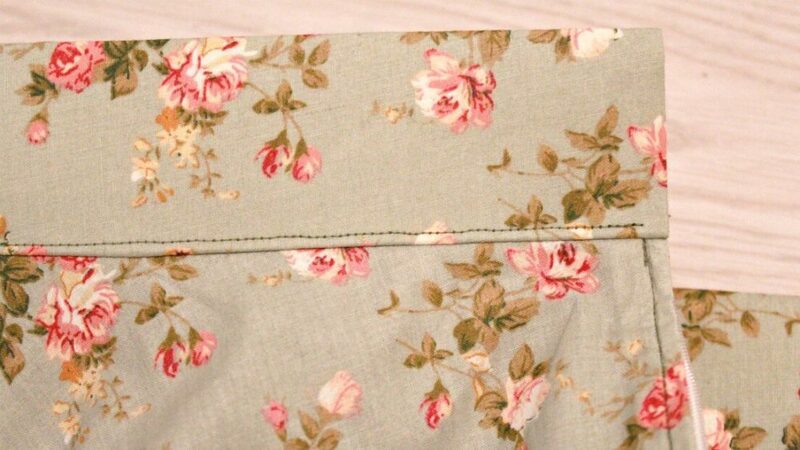 Looking at the right side of the skirt, sew down the waistband about 1/8″ from the seam you made before. This should capture the back of the waistband, leaving you with a nice finish in the front too. Now sew down the top of the zipper to finish the waistband. Replace the foot with a regular foot. And you’re done! Enjoy wearing your beautiful half circle skirt with zipper! If you liked my lined skirt tutorial please let me know in the comments below and don’t forget to rate it! Thanks!